Guadalmina property is one of the prime residential developments in the western district of Marbella. It is situated approximately a fifteen minute drive from Marbella’s center and Estepona municipality. Conveniently, Malaga Airport is located sixty kilometres to the east. Average prices for Guadalmina property for sale range from Average price per sqm. in Guadalmina €2,419 -1% properties#: 223 last change on: 19 Apr 2019 €2,419 per square meter for apartments and Average price per sqm. in Guadalmina €3,547 -1% properties#: 212 last change on: 19 Apr 2019 €3,547 per square meter for houses. However, the prices for houses with a sea or golf course view rise quickly. Investment opportunities are also available, at Average price per sqm. in Guadalmina €3,515 0% properties#: 10 last change on: 19 Apr 2019 €3,515 per square meter. The most renowned real estate agencies selling Guadalmina properties are Lina Lopez and Gilmar with more than ninety listings, followed by Real Estate Luz, Kristina Szekely (Sotheby’s) and Villa & Gest Estates with more than 50listings in the area. This prestigious area is found between some other famous urbanizations. One of them is a custom-built beachside community San Pedro de Alcantara. The other is the luxurious golf complex El Paraiso. The west boundary of Guadalmina runs along the Guadalmina River. The river is also a boundary line between Marbella and Estepona. Convenient location together with the beautiful environment and astonishing views make this area a real paradise. Therefore, it mostly attracts those property buyers, who are interested in the high-quality living. Apart from the prominent local residents, many affluent international real estate buyers choose this exclusive residential area. 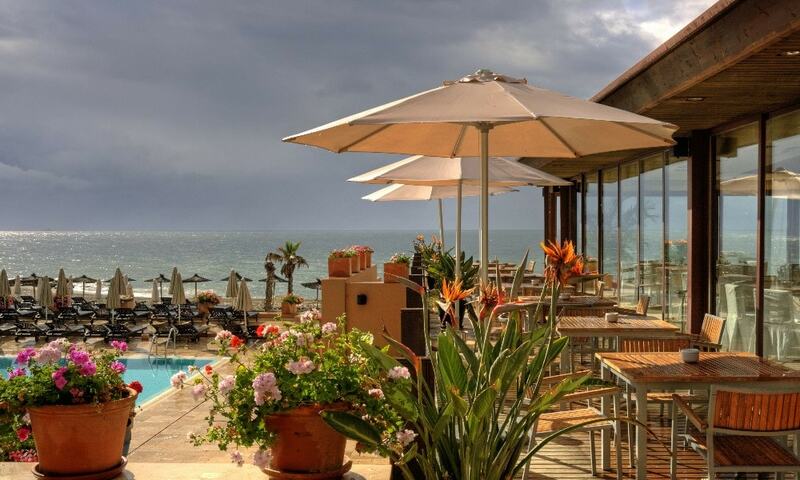 Mostly they are presented by Northern Europeans and British residents, who own in Guadalmina second home properties. This beautiful area attracts many celebrities as well, such as Sean Connery, who used to practice golf here. And also, the former Bond actor still owns a luxurious villa here. The whole Guadalmina neighborhood spreads over its renowned golf course Real Club de Golf Guadalmina which divides the whole area into two residential parts. The northern mountainous part is Guadalmina Alta. This is a peaceful and quiet residential area is dotted with villas. Furthermore, you can find here some modern apartments and penthouses, too. Their charming rounded balconies typical to Guadalmina add authenticity to this place. Guadalmina Baja is linked to Guadalmina Alta with a tunnel. It is the southern coastal part of the region. It is full of gorgeous coastal villas with large plots of land. Notably, the properties for sale in Guadalmina Baja are usually built on double or triple plots. Besides Guadalmina Baja and Alta, here you’ll find another beautiful urbanization – Valle del Sol apartments and villas. It is most suitable for those, who enjoy privacy and living in a quiet residential area. All the amenities such as supermarkets, banks, and stores you will find in the local commercial center. It also offers some restaurants, cafes and retail outlets. Families looking for a private school in this area have plenty of possibilities. San Jose private school is found directly in Guadalmina Baja. Other schools, such as Calpe College, the Aloha College, and the Swans Primary School are reachable in a few minutes drive. There are plenty of sports possibilities in Guadalmina. The most sought-after establishments are the two eighteen-hole golf courses. 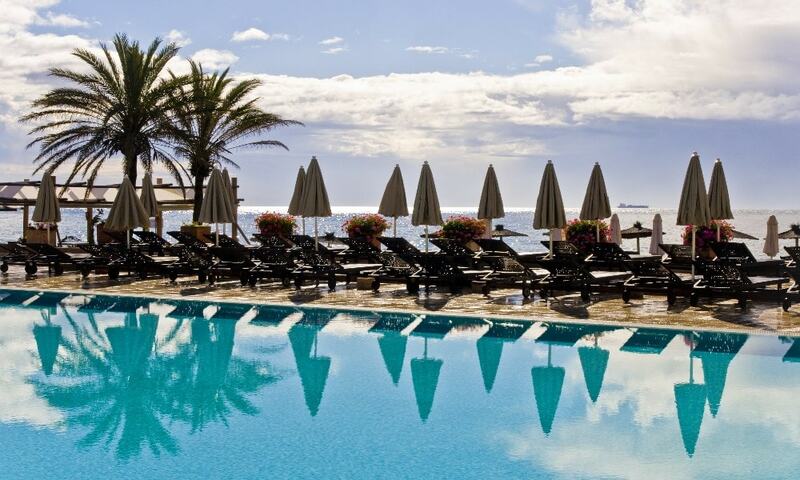 Their premises offer also a tennis court, large swimming pool, and a fine dining restaurant. 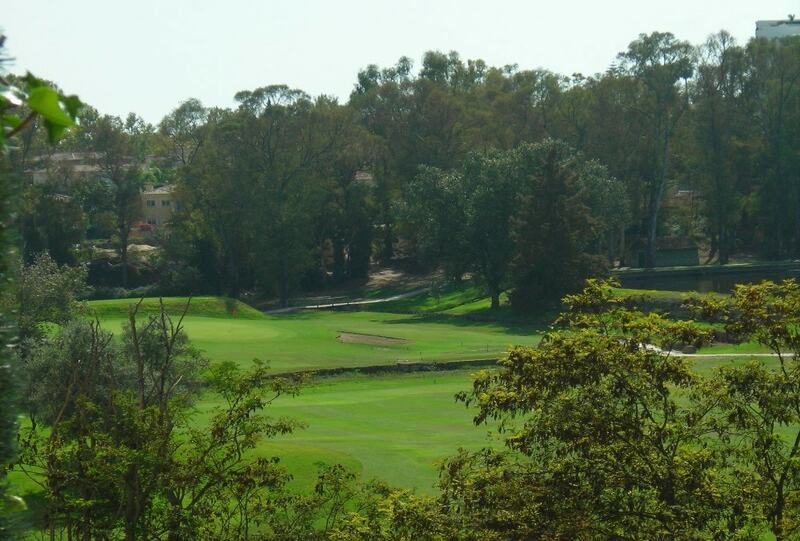 Furthermore, there are three more high-quality golf courses nearby Guadalmina. Namely, Monte Mayor Golf & Country Club, Atalaya Golf, and El Paraiso Golf Club. A cable Ski in Parque De Las Medranas offers wakeboarding, kneeboarding, and water-ski lessons. The surrounding beaches provide possibilities to practice Jet-Ski and other water sports. The closest beach is Playa Guadalmina. The Blue Flag award proves its cleanliness and high standard. Eucalyptus trees provide the shade from the burning sun and lifeguards keep an eye on kids enjoying the water. Further to the east, you will find a nice chill out place of Chiringuito Macaao at Playa Lindavista. On the west side, there is another beach of Playa Atalaya. The family restaurant El Cortijo de Ramiro offers a very nice atmosphere. You can choose from the wide variety of delicious Mediterranean and international dishes. The restaurant prepares food using the freshest ingredients. The next one worth mentioning is a small classical-style restaurant Victor, which is featured in the Michelin Guide for its delicious cooking and high-standard service. If you wish to enjoy the true ambiance, you should stop by the Guadalmina’s fairground. Here, every Thursday, you will find an open-air market, where locals are selling handmade crafts, jewelry, and clothes. Guadalmina is very rich in historical places of interest. While discovering this area, you will find here the Roman thermal baths Las Bovedas. In addition, there are other interesting sites to visit such as the Roman archaeological remainings. Also, the early Christian basilica of Vega del Mar is located near the Linda Vista residential development. The Capilla de la Inmaculada is a small chapel with a separate tower bell in the design of a lighthouse. It was one of the first constructions in the area, which is dating back to 1946. In 1995, King Filipe VI of Spain attended a private wedding here. The summer in Guadalmina is full of various festivities. The most famous festival, the day of San Pedro, is celebrated on the 19th of October. The famous “Wine Battle” takes place on this day in the Riscos de Bilibio. 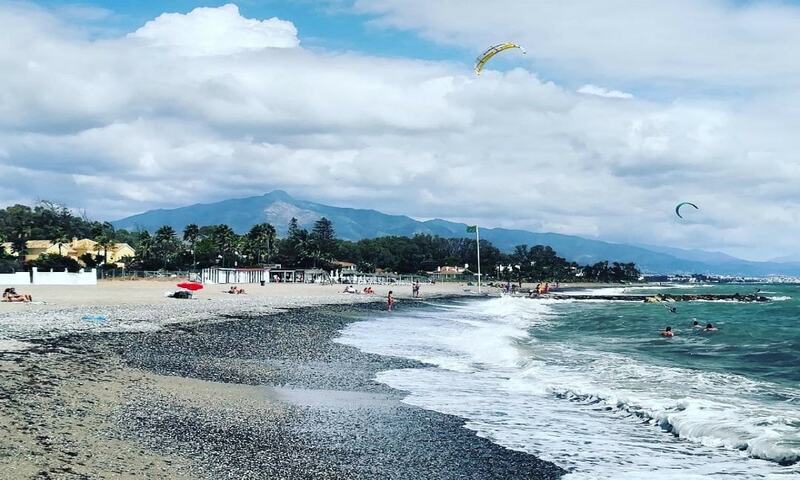 The perfect mixture of the convenient coastal location on the sunny Costa del Sol, first-class golf courses, the proximity to all necessities, beautiful nature, endless views and the high standard of living makes Guadalmina property one of the most desirable choices for second home buyers.